The SportAccord Convention World Sport & Business Summit is being held in the Sochi ExpoCentre which was built to house the Main Media Centre during Sochi 2014 and is in the Olympic Park. 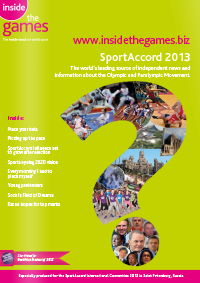 The venue is self-contained and can accommodate all the needs of SportAccord Convention. The Exhibition will be held in large areas with natural light and a spacious and airy feel. 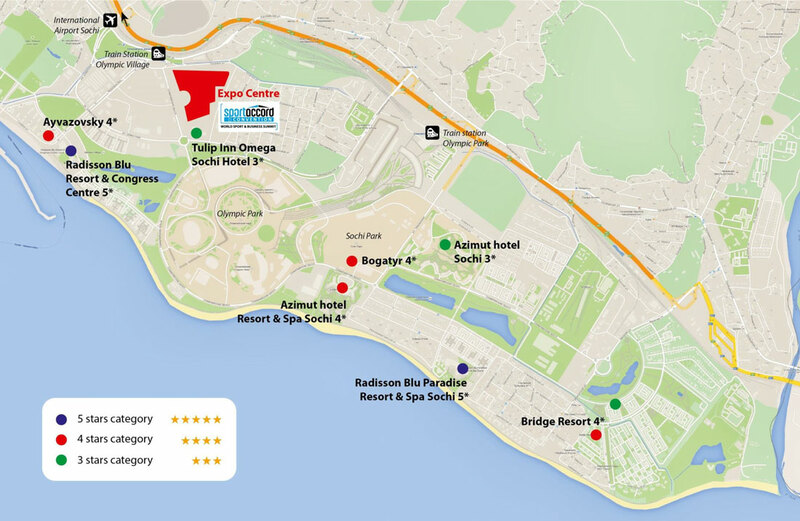 All the official hotels are on the Olympic Park or close by, and most are walking distance to the Sochi ExpoCentre and hotels. They were all used during Sochi 2014 to accommodate officials, the IOC, International Federations, National Olympic Committees. Sponsors etc. All official hotels include free Wi-Fi and breakfast, can be booked with single or double occupancy and range from CH 35 to CH 4,476. Full details on the hotels can be found here.